We all grow up playing school, lining up our pretend students in rows, writing on a chalkboard, and then calling up pretend parents. Some of you out there probably have “I ♥ calling parents” tattooed on your forearm. 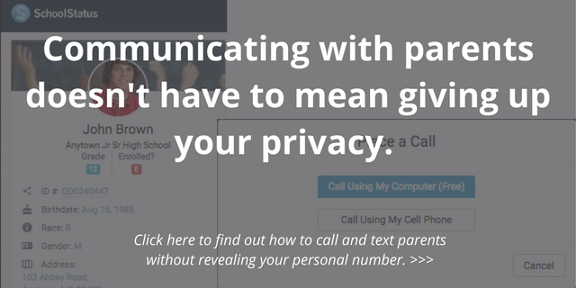 Or… Calling parents is a daunting experience you would like to avoid as much as possible. Why though? You know what talking to a parent leads to? It leads to student growth. It leads to better attendance. It leads to fewer infractions. It leads to better schools. Better schools lead to better communities. Better communities lead to better lives. All because you called one parent! Ok, maybe that is a bit of hyperbole, but the truth is we will get student growth, better attendance and fewer infractions, so that alone is worth it. What can we do to make calling easier? Keep this in the back of your mind: parents like to talk about their kids. They do! If you’re a parent, you know it’s true, you like talking about your kids. If you’re not a parent, do you have a dog or cat? Do you talk about your fur baby a lot? Bottom line, we talk about the things we love and your student's parents will love to talk about their kids. They want to talk to you! Do it early! Not early in the day. You shouldn’t call a parent at 4am, that would be a mistake. Call them early in the school year. You know that old aphorism; "An ounce of prevention is worth a pound of cure"? - well think about it here. 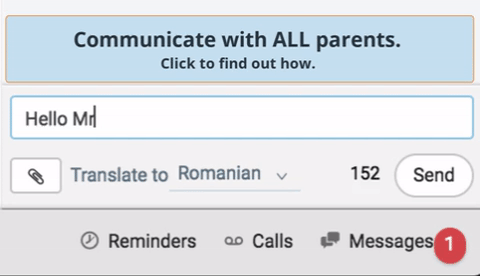 Calling a parent early in the school year and establishing some level of trust, some connection between you and the parent is going to make the conversation in November about the failing test grade a much different one. Parent contact and the ripping of a band-aide are the same thing. You have to do it fast, without thinking too much about it and you might lose a hair or two. Let me explain… In the first weeks of school, if you call and leave a message for a parent (they aren’t going to answer anyway - they don’t know you yet and caller-ID means that no one answers the phone anymore, but call anyway! It will still go over well with that parent) it shouldn’t take more than a minute. Just tell them who you are, who you teach (they might have more than one kid) and tell them your number. You don’t need a grade or an infraction to talk about the first time you call. Just call them so they know your name. And if you’re like me, you may run your hands through your hair as you call someone and you might lose one or two (or maybe I’m getting older and going bald). Do it often! I’m the worst at going to the gym. I say I’m going to go more than I go to the gym. I know why too. I don’t have a habit formed for going. Good habits take about twenty one days of committed practice before it becomes easier and feels normal. After a few weeks, it will seem automatic. Make it a habit to get in touch with parents at a certain time each day. Call them. Text them. Email them. If you do it everyday at 10 am, pretty soon, you’ll start to look forward to that call, it will be a habit, once it’s a habit… it will be hard not call or text parents. 10am will hit and you’ll be jonesin' for a text. I know you didn’t get into education so you could call people you don’t know to talk to them about things that are important. I know calling parents feels like a chore. I know it’s not fun. I know. I also know education can’t stop at 3pm. I know that to make sure kids learn at home, you have to talk to the parents. I know when parents are involved in a student’s education, that student has a better chance at being successful. And I know, you got into education to help kids succeed. Make the call. Make it a habit. 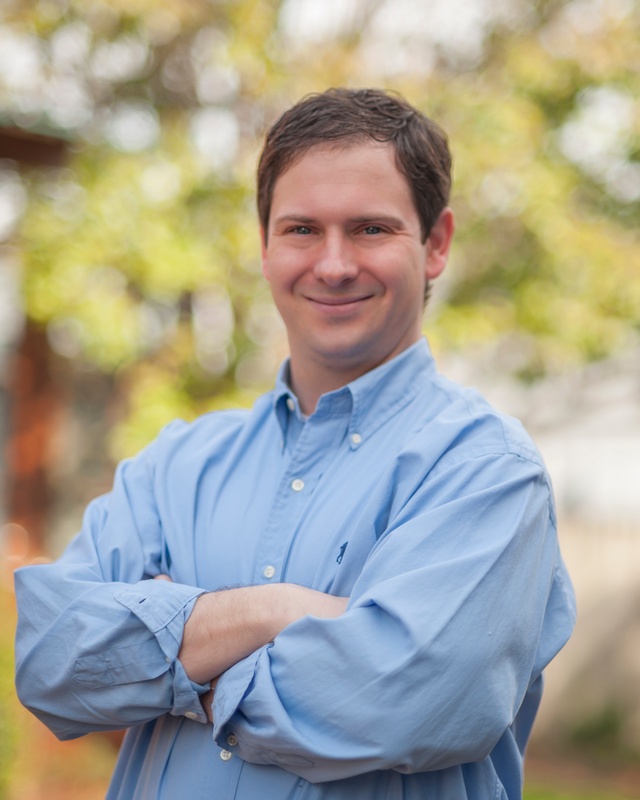 Tyler Cummings spent years in the classroom before joining forces with SchoolStatus to bring the best tools for parent engagement to educators everywhere. Find out more by clicking the link below!